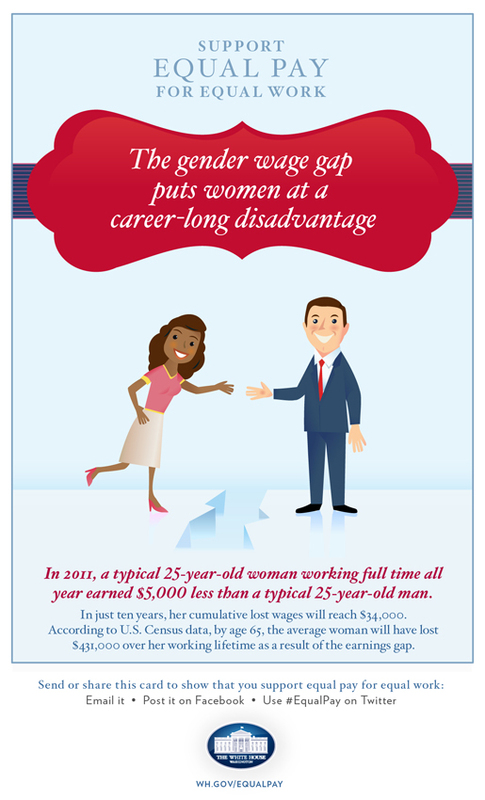 Urge your senators to vote for the Paycheck Fairness Act! Of course, Republicans are expected to vote against the radical, Marxist, secularist thing called fairness, as they continue to wage their War Against Women. But you can call your senator and encourage him or her to vote for #EqualPay and the #PFA at 888-876-9527. Women’s issues are one of the areas where the difference between Republicans and Democrats and Obama and Romney are undeniable. Obama is pushing for the Senate to pass the bill and the White House has made some e-cards demonstrating some disturbing statistics on the way we pay men and women. Check them out. 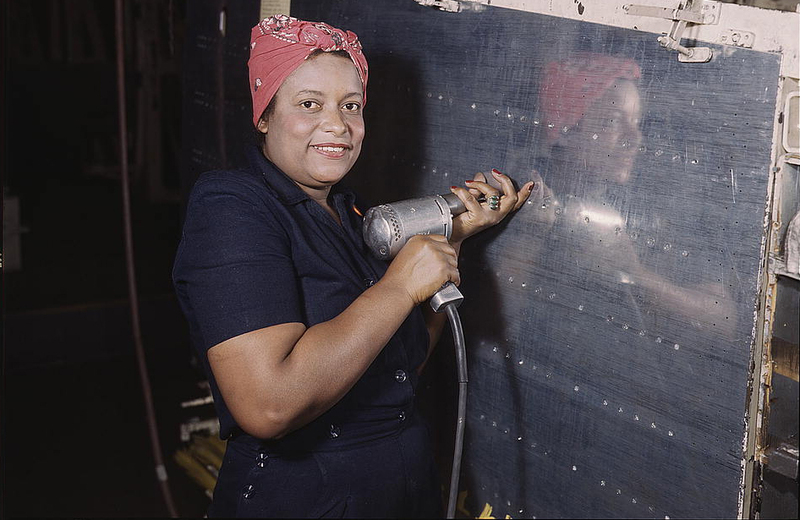 April 12 is officially Equal Pay Day, which we “celebrate” (all the scare quotes) women as a group finally catching up to what men as a group earned in the previous year (technically the precise date for 2016 is April 8). 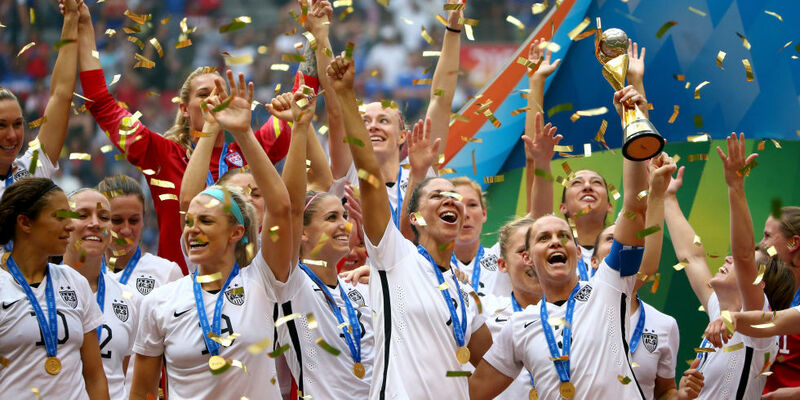 That’s right, it takes 15 months for women’s earnings to match what men make in 12. And it’s 2016. 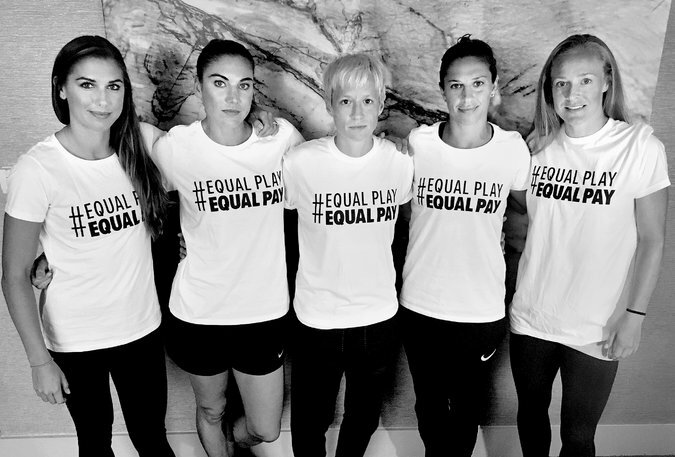 Yesterday, five stars of the United States women’s national soccer team — Carli Lloyd, Becky Sauerbrunn, Alex Morgan, Megan Rapinoe, and Hope Solo — filed a federal complaint on behalf of the entire team charging that they’re paid nearly four times less than their male counterparts and calling for the Equal Employment Opportunity Commission investigate US Soccer for wage discrimination.